Umthwalo hit-maker Zahara is collapsing under the heavy load of debts she is carrying on her shoulders. Sunday World can exclusively reveal that Zahara failed to oppose an application brought by Nedbank last year to repossess her almost R2m gated property in the ritzy suburb of Little Falls, west of Joburg. 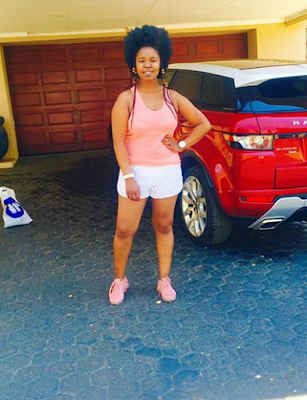 We can also reveal that Standard Bank wants to repossess Zahara’s Range Rover Evoque after she allegedly failed to keep up with her monthly installments. She claimed she was gearing up to sue TS Records as she did not want to be like other musicians “who die as paupers”. Documents show that she also obtained a R475 000 mortgage loan from the same bank but only one property reflects on her credit profile. The guitar-strumming artiste was supposed to pay just under R18 000 in monthly instalments but allegedly failed to do so. “The last payment the applicant received from the respondent [Zahara] was on June 30, 2017 and the total outstanding amount on the account in respect of which the execution is sought is R1 731 684.62,” read the papers. The singer, who amassed millions of rands in paid gigs and radio and TV royalties when she was at the zenith of her career as her album Loliwe sold more than 500 000 units, allegedly failed to pay back the loan. “In terms of the mortgage bond the applicant [Nedbank] is entitled to repayment of the full outstanding balance together with interest from the respondent [Zahara] in terms of the agreement and/or the mortgaged (sic) bond at a rate of 10.50 percent which indebtedness is currently owing, due and payable. “The respondent is in breach of the agreement and/or mortgage bond and has been in such breach for quite some time,” further read the papers. According to Standard Bank papers pertaining to her flashy wheels, the financial institution granted Zahara a R438 197 loan in January last year to purchase a 2014 Evoque SUV. Although Zahara paid the deposit, she allegedly failed to keep up with the monthly instalments of the luxury vehicle and was R33 725.41 in arrears in February this year when the bank wrote a letter of default and notice.